Mr Letterpress, a remote ancestor of Johannes Gutenberg (the inventor of letterpress printing), meets Miss Cotton, a respectable young lady from Germany, part of the Cotton Club. They get to know one another better and fall deeply in love. Their first kiss soon follows. Papersmith & Son is proud to announce the liaison of these two lovebirds with the launch of “The Cotton Club”. The range combines the history of Cranes Crest, dating back over a hundred years, with the youth of Gmund Cotton, the new kid on the block. Mr Letterpress experiences his first meeting with the temptingly beautiful Miss Cotton, whose soft and appealing surface is made from 100% cotton fibres. When touching Miss Cotton, one will soon realise how the reader will dreamily run his or her fingertips across tactile beauty, which has been reproduced in letterpress printing. 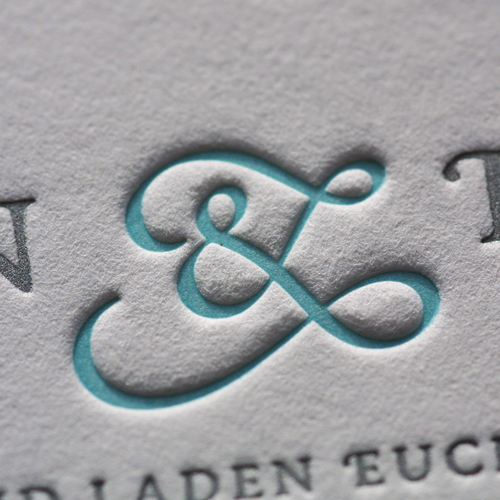 Letters or other motifs are strongly and forcefully pressed into the paper. 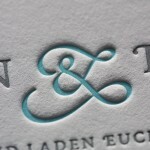 The unique combination of craftsmanship and trendiness has made letterpress printing a rising star in the creative scene. Miss Cotton is so adorably tempting that one never wants to be separated from her. Bachelors across the globe are devastated that she has already found her perfect mate! 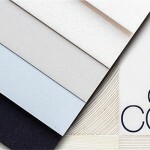 The Cotton Club is available in your traditional white and ivory, from a 100gsm up to a 310gsm, and we’ve now added a modern twist of Shiny White, Gentlemen Grey and Power Blue in the Gmund range. 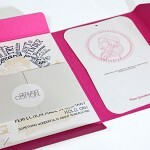 There’s also the extra bulky 600gsm Gmund Pure White which you won’t be able to keep your hands off! 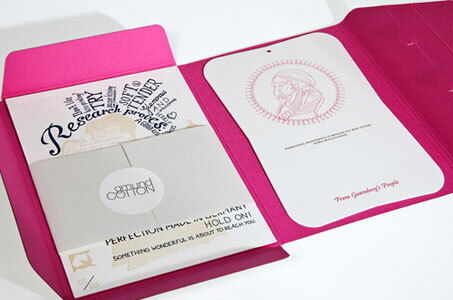 Be sure to contact your rep to set up a presentation of samples that will blow you away!